SOMETHING SPECIAL FOR THE COUPLE AND GUESTS TO REMEMBER. 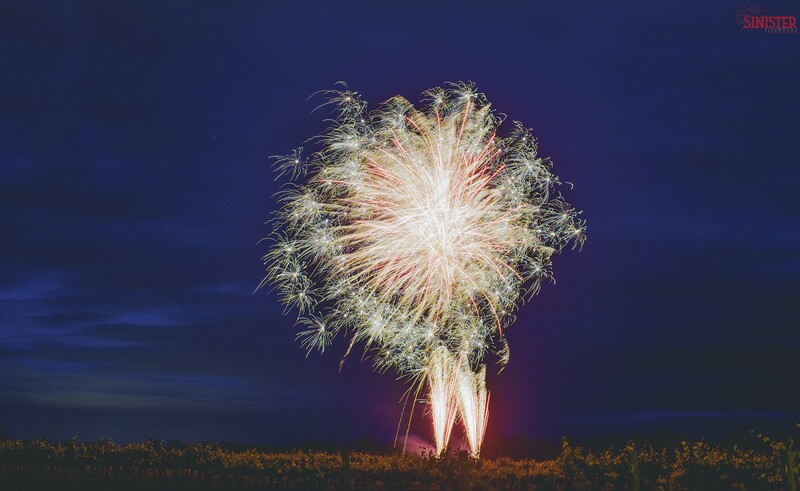 Sinister Fireworks can offer the newly married couple a variety of firework options for some added ‘spark’ to celebrate their special day. From indoor displays right through to extravegent outdoor displays, Sinister Fireworks are able to do it all. With a vast array of special effects available, lovers can choose from fountains, waterfalls, aerial love hearts, gerbs and many more. There are also a multitude of colours available to be chosen from. Becoming ever so popular for weddings, Fireworks can really top of your magical day. Sinister Fireworks can provide a range of different packages for weddings, for more information Contact Us today!